In his greatest Game Boy adventure, now avaliable on the 3DS, Mario faces off against his evil rival Wario, who has captured Mario Land and turned it into his private playground. To force Wario off his ill-gotten throne, Mario must search all-new worlds for the six golden coins that unlock the gate to Mario's castle. A mob of monsters, old and new, seek to stop him. Along the way, through 6 zones, Mario can nab Power Mushrooms, Super Stars and Fire Flowers for extra power. And if he eats the Magic Carrot, he'll turn into a high-flying bunny. 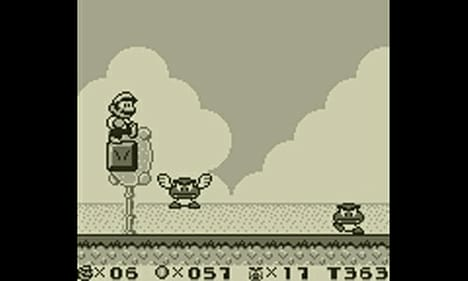 Please Note: Super Mario Land 2: 6 Golden Coins for Nintendo 3DS is 44 Blocks (5 MB). Check that you have enough space on your SD Card to download and install this title, if you need more storage space click here for our range of fully compatible SD Cards.